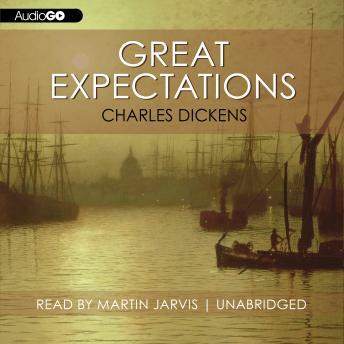 Great Expectations, recognized as Charles Dickens' finest novel, is told by Pip, an orphan who lives with his sister and her husband, the village blacksmith. The young boy's life is changed forever when he meets and aids an escaped convict who wanders into his yard. Years later, Pip is sent to live with the decaying, bitter Miss Havisham and falls in love with her ward, the elegant and elusive Estella. A young man of modest means, Pip nevertheless aims to become a gentleman in order to win Estella's heart and an endowment from an anonymous benefactor suddenly places his intentions within reach. But capricious fate will lead him through further adversity and unexpected revelations in the pursuit of his dreams.